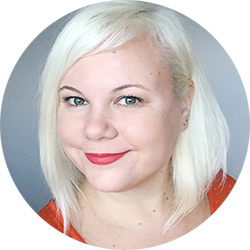 Join me in extending a warm welcome to our newest Guest Blogger, brand stylist Sarah Shuttle, who specialises in working with female creative business owners. 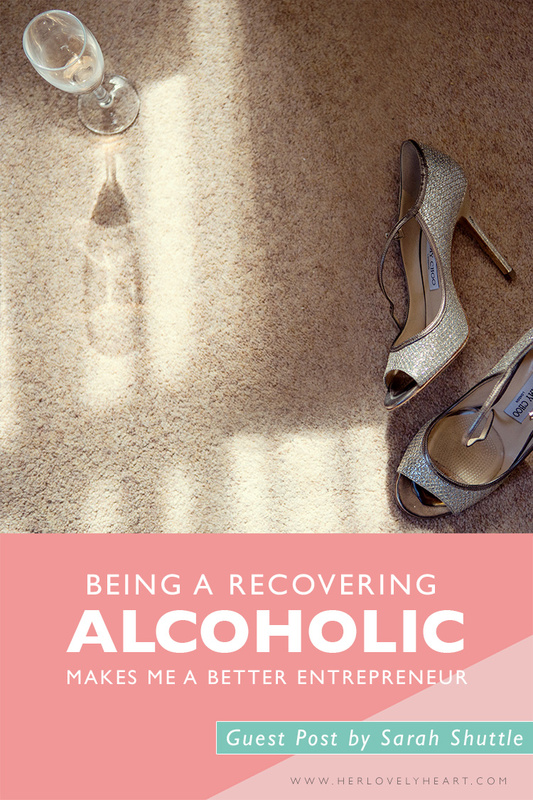 In her first post, she shares candidly about her past struggle with addiction, and how being a recovering alcoholic makes her a better entrepreneur. Addiction, alcoholism and mental illness. Although becoming slightly more acceptable in society, they are still things that are often spoken about in hushed tones. Something shameful that provokes fear and mistrust. I’m not your stereotypical alcoholic. I didn’t swig from a brown paper bag on a bench. I didn’t lose everything. But I lost me. When I was still drinking, my life was going nowhere but in a downward spiral of despair. There was but one hopeless destination. Now, I’m a 29-year-old female entrepreneur with a bright future, blooming business and a developing sense of who I am. I wouldn’t have chosen to be an alcoholic, but I have acceptance today. What’s more, I know I wouldn’t be the same tenacious, grateful and hard-working entrepreneur I am if it wasn’t for my alcoholism. Here, I tell you exactly how my recovery from alcoholism and mental illness is making me a better business woman. Having self-esteem is a big part of my kit for dealing with mental illness and alcoholism. If I don’t work on loving myself, I am so much more susceptible to the vicious, deadly clutches of active addiction and debilitating depression. So, I do esteemable things. Running a business builds my self-esteem. Fact. I’m proud of that fact I have gone from the depths of despair and addiction to an entrepreneur helping and leading other people. We have all overcome hardship and struggles in some way, shape or form. And strength in the face of adversity is an esteemable act. As I continue to do esteemable things, which business teaches me every day, my self-acceptance and my self-love grows. Nurturing my business nurtures me, and vice versa. I need self-discipline to overcome mental illness on a daily basis. It can be all too easy to leave my routine for a day. Forget to take some time to reflect. Forget to make a gratitude list. Not go to my twelve-step meetings. I’m not perfect, and this is a work-in-progress, but my self-discipline develops on a daily basis. I need that self-discipline to make my business a success. Not having a routine, a focus and a goal leaves me floating around in a dangerous area. Running a business is an ultimate lesson in self-discipline; if I don’t do the work, I face financial insecurity. Tasks need to be done, deadlines need to be met. It is a lesson I can then extrapolate back to my recovery and my daily life. It’s true that my recovery has a spiritual basis, though not religious. I need to trust that things will work out, perhaps not in the way I want them to, but they will work out in ways far better than I could have imagined. Everything feels uncertain in these relatively early stages of a business. I have to trust my hard work will pay off down the line. I like safe, comfortable and secure, which is the opposite of what I’m doing. So, I have to have faith or the fear of uncertainty will paralyse me. Sometimes, we have to take that leap into the unknown and trust someone will be there to catch us. The biggest core belief I have ever had crushing me is that I’m not good enough. Not worthy. A failure. I have spent years abusing my body as a method of punishing myself. Now, however, I have to work on that. There is no choice, because if I don’t, my disease creeps in. It preys on those negative thoughts. I work every day on accepting myself. My story makes me who I am, and as I continue to progress in recovery, I accept it more. I work hard on loving myself. Every morning I stand in front of the mirror and tell myself I am worthy. Doing these things is enabling me to be vulnerable as an entrepreneur, and I mean that in a positive way. I share openly with my audience. I don’t hide my story and nurse my shame, something only to be talked about in those hushed tones. And as I make myself vulnerable, people connect with me. I’m not words or images behind a computer. I’m a person with a story and pain and hope and love and lessons to share. I’m Sarah; creative entrepreneur, brand designer, recovering alcoholic and recovering mental illness sufferer. And I am okay just as I am. Sarah Shuttle is the founder and editor of Girl Untold, a community, blog and movement aiming to unite, empower and inspire women to tackle stigmas and pressures faced in society by celebrating their individuality and owning their stories.